​The Liverpool Liverbirds Win a National Women’s Title! 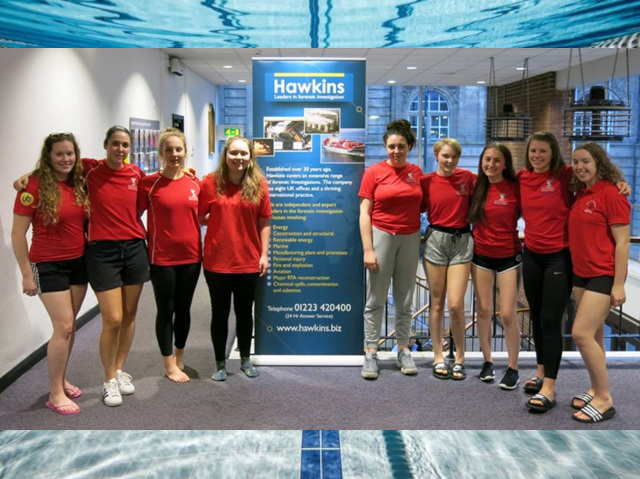 Hawkins is proud to sponsor the Liverpool Liverbirds women’s water polo team throughout their successful season. On the 24th and 25th of November in Walsall, the Liverbirds finished out Phase 1 of their season by winning the British Water Polo League Women’s National Division 2 Title. The Liverbirds’ team captain, Charli Hopwood, scored 9 goals over the course of the weekend to take her tally to 13 for Phase 1, making her father Mike Hopwood of Hawkins' Manchester Office, and indeed all of the Hawkins family, very proud. Charli is pictured below with the team’s coach, Joanne Mountfield. Mike Hopwood said of the weekend that it was, “a close and hard fought campaign with 2 broken noses, 1 damaged shoulder and numerous broken fingers.” The ladies, however, managed to capture the national Division 2 title with 5 wins, 1 draw and only 1 defeat.